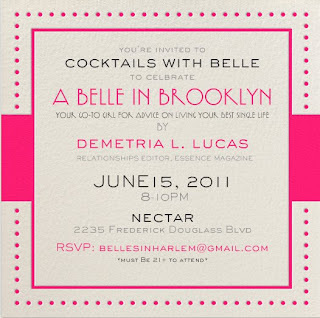 Demetria Lucas , better known as A Belle in Brooklyn is known for her relationship column in Essence magazine, her socially eclectic blog, her lovely style, and lately her new book. 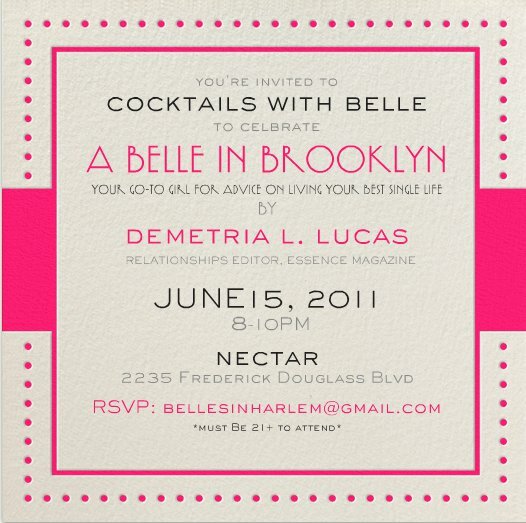 Join her and other belles for an evening of cocktails and fabulousity to celebrate the release of her new book A Belle in Brooklyn: The Go-to Girl for Advice on Living Your Best Single Life . RSVP ASAP before the list closes. Be mindful that your name must be on the guest list and space is very limited. See you there!